If ever there’s a part of our beauty routine that gives us mixed feelings, it’s waxing. Sure, for those of us who prefer to be hairless, there’s an extra spring in our step when we leave the salon freshly waxed. But the 20 minutes leading up to that moment are sheer agony (too dramatic?). That's why it really matters where you go to get waxed. The best salons and waxing experts make the experience not only tolerable but maybe even kind of relaxing. We’ve hopped around from salon to salon trying to find the ones that make the whole waxing situation bearable. These are the six salons that top our list! Ma Maíson de Beauté is a little oasis. The entire space is always impeccably clean. Everyone who works there is friendly, and they’re always very accommodating. But the real reason we go back is that the Brazilians take 10 minutes max. Seriously, you’re in and out of there in under 12 minutes without sacrificing quality. Both Diana and Jessi do a fabulous job. This unassuming little spot in the heart of the NoHo Arts District may not look like much, but they know what they're doing there. The staff is friendly, and they're precise—sticklers for detail. Go see Tonya; you won't be disappointed. The Beauty Strip also has a lovely selection of lingerie and beauty products, in case you're ever in the mood for a little post-wax shopping. This place is real no-nonsense waxing salon. We debated even putting it on our list but decided it would be selfish of us to keep the secret. Though you wouldn’t know it by a quick Google search, Magic Touch Waxing Salon has been around for over 30 years. (Seriously, just try to find a picture of it online.) The salon has remained the go-to spot for those in the know (including celebrities), but don’t expect Beverly Hills opulence (or a Beverly Hills price tag). One caveat: They don’t accept credit cards, so bring cash! You’ll feel right at home at the Queen Bee Salon and Spa. The salon is warm and inviting—almost a little fairytale-esque. So inviting, in fact, it was the spot our editor chose to lose her waxing virginity, and they made her feel right at home. 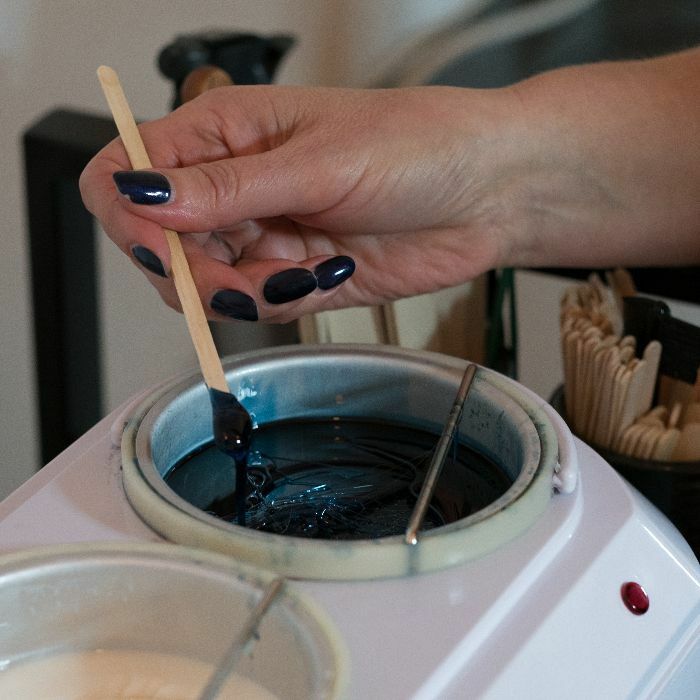 The waxers clearly know what they're doing and will give you plenty of post-wax tips. And best of all, they're fast. When you go, be sure to head home with Queen Bee’s Buzz Off Bumps ($24). It’s a lifesaver for ingrown hairs. At Stark Waxing Studio, the space is chic, minimalist, and clean. The staff is knowledgeable, professional, and approachable. Basically, they’re exactly the type of people you would want to be controlling hot wax. They use hard wax (the blue kind, which is great for sensitive skin), but remarkably that doesn’t seem to have any negative effects on their speed. We happen to love Stark's Body Scrub ($18) for exfoliation between waxes. Have you been to any of these salons? DM us your favorite spots on Instagram @byrdiebeauty!